PHOTO-MATCH / NEW PORTFOLIO REVIEW! New Portfolio Review will be held on June 2nd and 3rd, 2017 in Łódź (Poland) in Art_Inkubator – Fotofestiwal’s center. It will develop and implement an innovative form of presentation for the first time. Having years of experience in organizing portfolio reviews, making evaluations, taking into consideration all opinions of both curators and participants Fotofestiwal Collective has decided to change the form of this event to adapt to the expectations of emerging photographers and invited experts in photography. Please, find some important details of this project below. – We plan to invite around 35 international curators and select up to 50 participants. – Participation in Portfolio Review is free of charge. 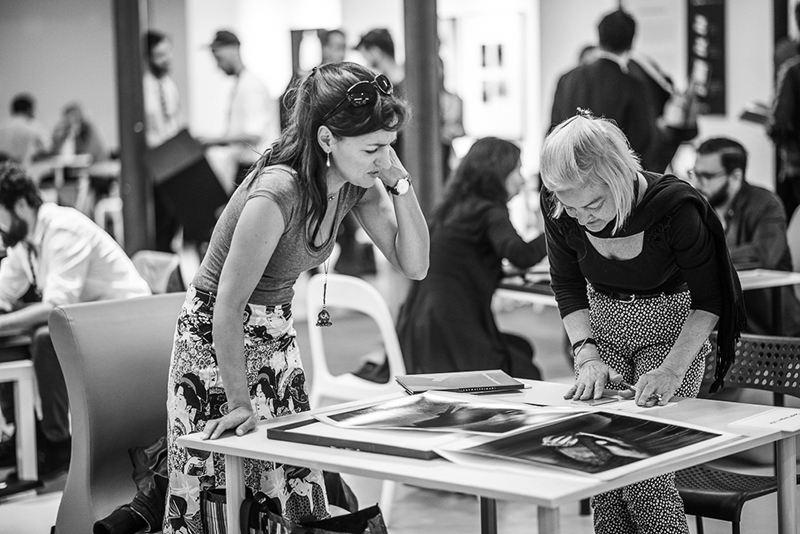 – It is obligatory to both photographers and reviewers to be present both days of Portfolio Review. The first day, June 2nd 2017, Friday (approx. 11am-4pm*) will be dedicated to short presentations of both (selected) photographers-participants and of invited reviewers. Presentations will be open to public and should be performed in English. Each photographer will present himself/herself and his/her project in the limit of 20-30 slides and 4 minutes talk. Each reviewer will present himself/herself (his/her organization/institution/event, function/role, types of photographic projects as his/her particular interest etc.) in max. 10 slides and 2 minutes talk. All presentations should be sent to the organizer prior the event (the deadline will be indicated on a later stage). In the evening, there will be an integration for all – photographers-participants and reviewers so that they could know each other better, exchange point of views, discuss presentations and make their final choices of interlocutors for the next day. – On the basis of presentations and evening talks photographers will choose only 2 reviewers that they want to meet the next day, on Saturday. – The innovation is that also experts-reviewers will have a possibility to choose 2 photographers that they want to talk to the next day, on Saturday. Reservations of the meetings will be possible via an online reservation system made available on Friday evening. The second day, June 3rd 2017, Saturday is dedicated to 30-minutes individual, face-to-face meetings. First part (10am-1pm) is the time when photographers meet reviewers of their choice. Each photographer can choose 2 reviewers. Second part (2pm-5pm*) is the time when reviewers meet photographers of their choice. Each reviewer can choose 2 photographers. The meeting space will be open and available during the time of Portfolio Review on Saturday so we invite and encourage all participants and curators to make informal meetings with each other as well. * All hours are approximate time which will depend on final number of reviewers and participants. The list of reviewers as well as further details concerning Portfolio Review and all terms and regulations of the event will be announced on the webpage www.fotofestiwal.com in February/March 2017. 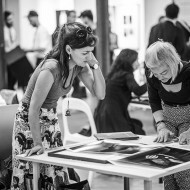 Amongst experts in photography there will be editors of magazines, photobook publishers, directors of festivals of photography, independent curators, gallery owners, exhibition managers in reputed museums from all around the world. – Nina Kassianou, Curator and researcher, Ikastikos Kiklos Gallery, Thessaloniki Museum of Photography, Greece. Fotofestiwal 2016 > News > PHOTO-MATCH / NEW PORTFOLIO REVIEW!